If you were a little girl growing up in the 90s, then you definitely remember the choker movement. Choker necklaces were everywhere and everyone had them. Some had peace sign charms while others had ying-yang charms or colorful flowers, threaded on sleek black ribbon, others are made from neon-colored cords. 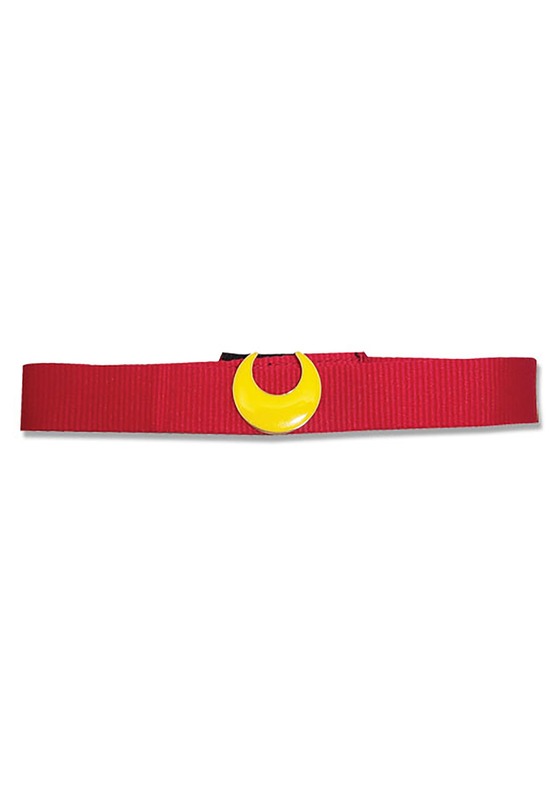 If you remember chokers, then you definitely remember watching Sailor Moon on TV. The anime series that features teens who are secretly responsible for protecting the earth against evil forces was an entertainment staple for 90s kids. Everyone tuned in to see Sailor Moon and her Sailor squad, clad in coordinating outfits topped off by chokers, save the day. The officially licensed women's Sailor Moon necklace is the one accessory needed to elevate your Sailor Moon costume into the stars and behind. The red ribbon choker fastens together in the back with a hook and loop fastener while an enameled metal crescent yellow moon in the center, standing out against the bold red ribbon. Are you oozing with nostalgia now that we've discussed Sailor Moon and chokers? Great! Now pick out one of our Made by Us Sailor Moon costumes to feel like a kid again!